Catholic University of America received a A-. "America's only Catholic university with a papal charter is dedicated to "all branches of literature and science, both sacred and profane." Though some students complain about the number of compulsory philosophy and religion courses, most agree that Catholic's immense and required core curriculum "is very beneficial and well structured." CUA's breathtaking Basilica, the world's 7th largest church, dominates the Washington D.C. campus." What is a typical Catholic University of America student like? Describe the type of person that should attend Catholic University of America. What are the top 3 reasons someone should attend Catholic University of America? Top Notch caring teachers passion about us students learning with small classes for that personal interaction; Opportunities in the workforce in a large variety of choices; The Catholic identity in accepting all without judgment. What was a typical Catholic University of America student like in high school? Describe the type of person that should attend Catholic University of America. Students have excellent options in almost any department at CUA. Student life at CUA is busy-many upperclassmen get internships in the city, and student organizations are large. Your application should demonstrate an appreciation for the school's unique qualities and educational philosophy. 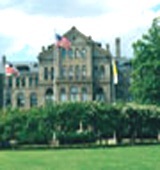 The Catholic University of America, founded in 1887 by the U.S. Catholic bishops with the support of Pope Leo XIII, is the national university of the Catholic Church in the United States. Established as a graduate research center, the university began offering undergraduate education in 1904 and today is home to 12 schools and 21 research facilities. Catholic University is the only American university with ecclesiastical faculties granting canonical degrees in three disciplines. The university's verdant 193-acre campus, located just north of Capitol Hill, allows students easy access to the wide range of educational, cultural and political opportunities that Washington, D.C. has to offer. What are the top 3 things that students do for fun at Catholic University of America? Visit the National Mall; Smithsonian Museums, Arlington Cemetary; Paddle Boat in the warm weather and ice skate in the cold weather. The average student pays $35,611 for tuition, fees, and other expenses, after grants and scholarships. Total stated tuition is $38,000, in-state and on-campus, before financial aid. Learn more about financial aid at http://admissions.cua.edu/undergrad/finaid/index.html. Estimate the net price for you at http://admissions.cua.edu/undergrad/finaid/netpricecalculator/calculator.html. The typical (median) early career salary of Catholic University of America graduates is $42,700, according to Payscale. Catholic University of America participates in the NCAA Division III for college athletics. Want more info about Catholic University of America? Get free advice from education experts and Noodle community members. What are the requirements to attend here for a Masters? What is the course load like at the Catholic University School of Nursing? Full-time and part-time study is available for nursing students at Catholic. All nursing students will be assigned a faculty adviser who is available for consultation on academic matters. What is it like to be a student at CUA? What do they do for fun? Tour guide was a girl - what do guys there like about it? What do they do in their spare time? If there is a running club, where do they run? Is the honors program an advantage?